The NFL has existed for many years and it has seen several talents come and go, some so impossibly gifted that they altered the course of history. Teams and coaches have been known to build their tactics around the quality of players in their squad and the caliber of quarterbacks they expect to face. As a result, the defense is an essential part of any team, so the better the cornerback holding down your side, the finer the team’s chances of pulling through. Cornerbacks are the last line of defense and they have a lot to prove. Here is a list of 10 greatest cornerbacks who impressed us all with their abilities. Although it’s easy to look at Jimmy’s low interceptions and conclude that the player was not a very good cornerback, but that would be a hasty and wrong conclusion because as at the time he was active, from the 1960s through 70s, when interceptions were a lot common and practically every cornerback was recording 6-10 in a single year, so his low figures show just how terrified quarterbacks were of sending passes in his direction. He was drafted right out of UCLA by the San Francisco 49ers. He was one of the very first shutdown cornerbacks that shaped the career of those that came after him. Jimmy didn’t just hustle and rough up receivers, he was a master tactician who could see several moves ahead and adjusts his movements accordingly. Brown spent 16 wonderful seasons in the NFL, resulting in one AFL Championship title, three Super Bowl, four Pro-Bowl, and an undisputed title as one of the greatest cornerbacks of all time. He is regarded as the player who invented the bump-and-run coverage, which involves playing rough at the scrimmage line so a receiver misses the timing on a pass, then twisting and trailing behind the receiver while racing across the field. Brown claimed 54 interceptions throughout the duration of his career thanks to this technique. The most iconic moment of his career was in the Super Bowl XI when he intercepted a pass from Fran Tarkenton and ran 75 yards to seal a touchdown and a win for the Oakland Raiders. Ronnie Lott is one of the most complete players the NFL has ever seen. He played for the Los Angeles Raiders, New York Jets, Kansas City, and San Francisco 49ers. He was the reason the 49ers could boast that they were more than a team with finesse and back it up on the field. As a cornerback, Ronnie was phenomenal because he could tackle at the scrimmage line, intercept the ball, cover his teammates, and square off quarterbacks. He made history in 1983 after he made 108 tackles, one sack, and four intersections in a single season as a quarterback. His tough hits in the safety position were essential to many of the club wins for several years. He took great pleasure outsmarting wide receivers, delivering astonishing performances every single time. Ronnie was named to the Pro Bowl four times in a row and 10 times altogether, 8-time first-team All-Pro, and four Super Bowls. A glance through Bailey’s career statistics is bound to leave anyone in awe and full of appreciation at just how much talent the player had even late into his career. He made the Pro Bowl 12 times, the All-Pro three times, 10 career picks, and racked up 54 interceptions by the end of his career. Bailey was a player who had it all. He went from being an underrated player to one of the biggest NFL talents of all time. Bailey practically made the Broncos, leading them to victory after victory right until the moment of his retirement. His most wonderful career moment was when he held Larry Fitzgerald for 19 yards and three catches, and not letting a touchdown pass through in 80 targets. Throughout his 20 year career, there were a few things every football fan could count on: rain, taxes, death, and Darrell Green securing the corner position for the Washington Redskins. Considering that he holds the record for consecutive seasons with at least one interception in the NFL, it’s hard to dispute Darrell’s place on this list of greatest cornerbacks of all time. He was named to the Pro Bowl team 7 times and All-Pro 4 times. He is ranked as one of the fastest players in the NFL, so much so that he was still registering 4.5/40 speed rate even at 50 years old. His most iconic career moment was in 1987 playoffs when he broke his ribs during a punt return and still managed to outrun the Chicago Bears to help his team on their way to their second Super Bowl win. This 1984 NFL Defensive Player of the Year was drafted as the fifth overall pick by the New England Patriots in 1976. He has 9 Pro-Bowl under his belts, 6 for the Patriots and three for the Raiders. He also won the Super Bowl with the latter. Haynes has 46 career interceptions to his name, 112 punts for two touchdowns, and a 10.4-yard average; he was named to the All-Pro first team twice. His partnership with Lester Hayes was one of the greatest cornerbacks mashup of all time. They thoroughly complemented each other. Haynes leveraged his incredible speed, technique, size, dependability, and fluidity to terrorize offenses that came before him. He was so great that he remains a legend in Los Angeles Raiders history, and his former club The Patriots retired his jersey as a way of honoring the years he spent there. Deion Sanders might very well be the best cover cornerback the league has ever seen. His pass coverage is practically undefeated. He has played for Atlanta, the San Francisco 49ers, where he received the NFL Defensive Player of the Year award and secured a hard-won victory over the Dallas Cowboys in the playoffs before their Super Bowl victory. He eventually took his talents to the Cowboys in 1995, helping them steal a win over the Steelers in that season’s Super Bowl. Sanders thoroughly enjoyed putting quarterbacks who crossed him their place. He practically set the standard for what was expected of a superstar and NFL free agents. Despite being unrepresented, the iconic cornerback has managed to win championships, market himself viciously, and sign lucrative endorsement contracts. Since his retirement, the Cowboys have struggled to find a player to fill his shoes. Law was majorly responsible for the Patriot’s astounding success in 2001-2003. He carried the team’s defense on his back straight to the Super Bowl. Wherever he was on the field was guaranteed to be on lockdown as opposing offenses pretty much knew there was no point trying to sneak a ball past him and those who attempted failed miserably. 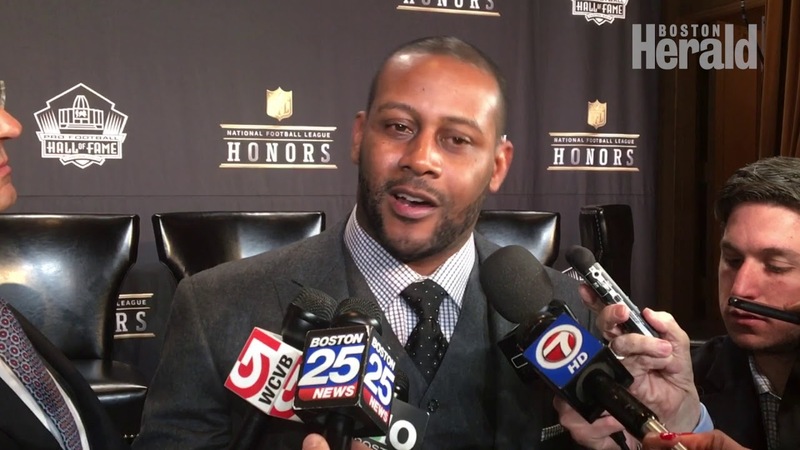 His contributions to the team were so significant it led to the Patriots becoming one of the most powerful dynasties in the history of the sports. The team would probably not have come as far as they did without Law mercilessly defending their side. Blount is credited with being the player who popularised and refined the 1970s cornerback style of play which involved bumping the receiver at the line, off the line, thumping him every time he attempts a cut, whomping him every other time, and ramming into him the second the ball arrives. The cornerback had an incredible speed of 4.5 and stunning recovery time. His techniques became so popular and widely copied that he ignited an offensive revolution. 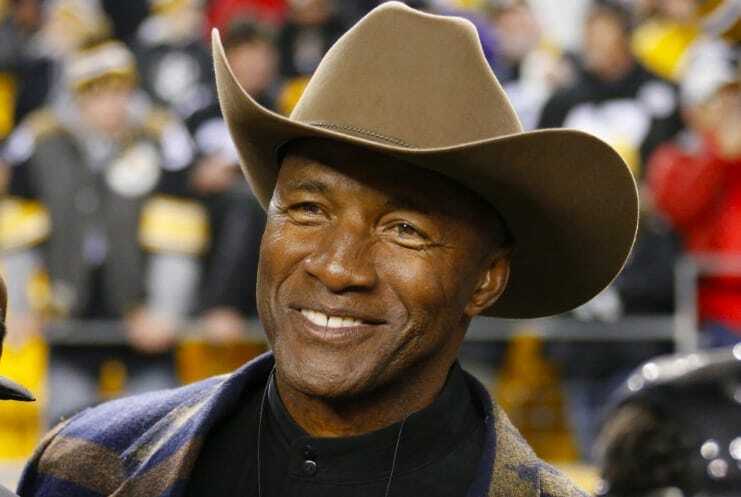 He won Defensive Player of the Year in 1975 thanks to the record 11 passes he intercepted for the Steelers. His style of play was so aggressive that the NFL instituted a Mel Blount Rule which prevented contact with receivers five yards beyond the scrimmage line. Blount consequently adjusted his style to be more finesse-focused and continued to strike fear in the hearts of opposition offense. 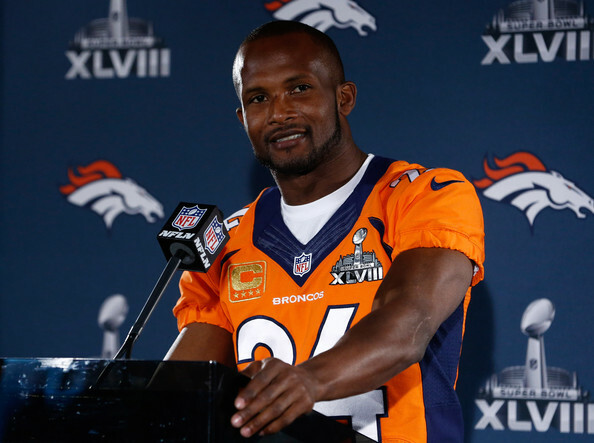 He had 57 career interceptions to his credit at the time of his retirement, as well as four Super Bowl rings. He’s certainly one of the greatest cornerbacks of all time. Night Train was a player who was ahead of his time. He was truly phenomenal right from his first season as a rookie when he intercepted 14 passes for two touchdowns. 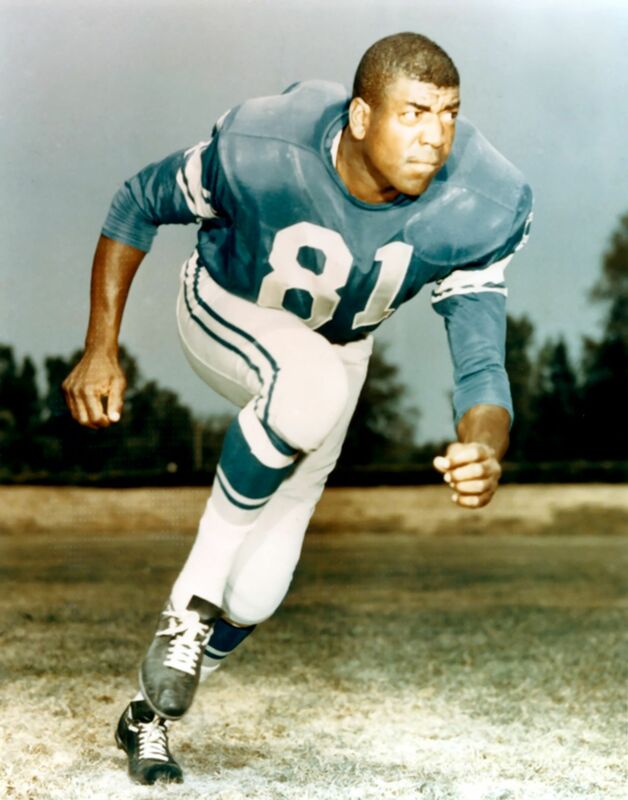 In 1959, he intercepted 10 passes and earned the first of seven selections to the Pro-Bowl and three All-Pro picks. From literally nothing, Lane worked his way up to being one of the greatest cornerbacks of all time. He made 68 interceptions for 1,207 return yards in his career, ranking him at fourth and sixth best in NFL history. He earned his nickname because he had a peculiar habit of ramming into his opponents like he was a speeding train and they were powerless against the force of his might. Some of the records Lane set are still standing or have only recently been broken. It is only natural he’s now remembered as one of the greatest cornerbacks in the history of NFL.